Spending by visitors to UAE theme parks is set to grow six-fold from $105 million in 2016 to $637 million by 2020 as the country opens several new attractions and maps out ambitious tourism targets, a new report has revealed. The International Association of Amusement Parks and Attractions said the UAE is the dominant theme park market in the Middle East and North Africa, the world’s fastest growing region for theme park visitor spend. At the same time, the UAE’s theme park visitors could provide nearly two-thirds of the countries projected total tourism arrivals by 2021, market research firm PwC has predicted. The figures were released ahead of the Dubai Entertainment, Amusement, and Leisure Show (DEAL), which takes place this month (March 27-29) at the Dubai World Trade Centre. Industry experts taking part in the event say UAE theme parks are also being used as a testbed for the advanced technology that will be used at Expo 2020 Dubai. 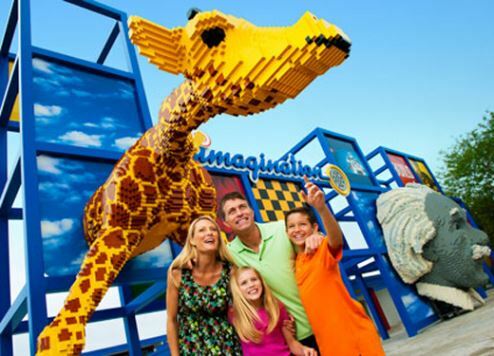 “UAE theme parks are on the cutting-edge of leveraging real-time information management technology to enhance the visitor experience,” said Andrew Calthorpe, CEO at smart theme park consultancy, Condo Protego. The UAE is positioning itself as a major theme park hub, led by Dubai and Abu Dhabi. In Dubai, IMG Worlds of Adventure and Dubai Parks & Resorts opened last year, with many more attractions, including IMG Worlds of Legends and Six Flags Dubai, planned. On Abu Dhabi’s Yas Island, already home to multiple attractions, a Warner Bros theme park and SeaWorld Abu Dhabi are both planned.